This article is for those who are seeking to be socially active in the Animal Rights movement, beyond their ‘at home’ life. The line between livestock animal and companion animal can often be a tenuous one. As just a very basic example, look at how some people keep pigs as pets and how some cultures view cats, dogs, and guinea pigs as food for consumption. Animal rights beyond the farm is an important topic to consider because it creates waves that travel through all aspects of society, including how we think about food and our care and treatment of livestock. Here are a few ideas on how you can take part in supporting animal rights. There are plenty of deserving organizations that advocate for animal rights and animal welfare that are running on shoestring budgets and rely on volunteers to do their work. Many welfare organizations rely on a network of foster homes to keep unwanted and abandoned animals safe until homes are found. 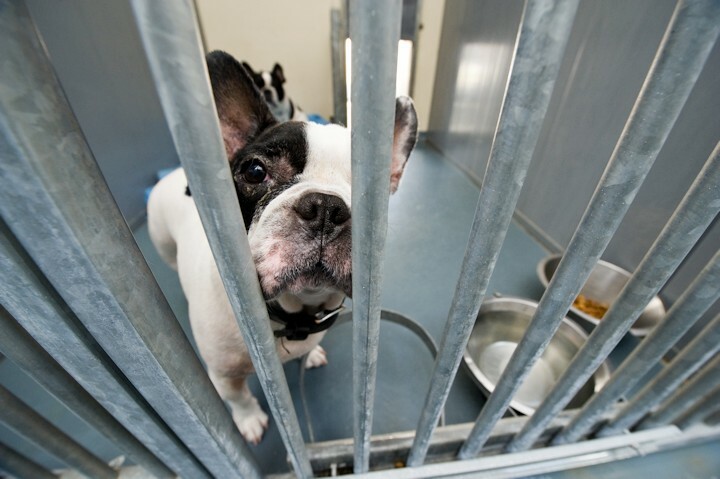 Even animal rescue organizations that have physical shelters rely on volunteers to make sure all the animals in their care are fed, watered, walked and socialized. You could be one of those volunteers. It’s rewarding in its own right and it makes a world of difference to the animals you would care for. Donating goods, such as dog- and cat food, blankets and cleaning supplies, is a wonderful way to help support pet shelters. Or, you can simply open your wallet and your schedule for them on a regular basis. Please be advised, not all shelters operate the same way, and while there are many that are “no-kill” shelters, there are also those that destroy ‘unwanted’ pets on a regular basis. We strongly suggest you thoroughly research an organization, as to its operating procedures and financial reliability, before you volunteer or make donations. By doing your homework, you’ll avoid scams, and be sure of finding the good ones! If you do decide to volunteer your time to an animal rights organization, it may be hard not to become frustrated by the laws that govern the treatment of animals in your jurisdiction. While organizations like the American Society for the Prevention of Cruelty to Animals (ASPCA) spearhead campaigns to change these laws, they can’t do it alone. And you can’t do it alone either – but you can add your voice to the chorus of those who want to see things change for the better. By writing, calling or engaging on social media with your local, state and national legislators about animal rights and welfare issues, you’ll make a difference in changing the policies that make animal cruelty possible. Volunteering at a local level helps mitigate the harm from animal abuse, neglect, and mistreatment, but the only way to stem the flow of it is to change the policies that enable it. Getting involved in politics is the top way to do just that. So write some letters! People are social creatures and we take cues from our peers, friends, and associates. You can advocate for animal rights simply by being an example to others. In other words: “Walk the walk.” If you’ve gone vegetarian or vegan for dietary reasons but have since developed a distaste for how livestock are treated, you may want to go ahead and eschew animal-derived clothing, household goods and more. There are plenty of vegan faux-leather options on the market for just about everything you can think of. Being an activist can simply mean, being an advocate, by conscientiously and courteously engaging others as well. The old “throwing a bucket of paint on fur wearers” method is not the way to start a dialogue about your objection to turning animal skins into coats. There’s always something new to learn in the world, so keeping yourself and those around you educated is a way to advocate for animal rights without investing more time than you normally would on social media or reading the newspaper. Keep abreast of current animal rights issues, both local and national. They’re a great conversation starter and you may be able to educate a few people on related issues at the same time. If you’re not comfortable with discussing animal welfare topics with your friends and family, you can always share relevant information on your social media sites, many of which have pages dedicated to such activism. What’s the link between massive fish kills in the Gulf of Mexico and an ear of corn farmed in Michigan? The farmers use unsafe fertilizers that runoff into the Ohio River, which makes its way downstream and harms marine life. What’s the link between beagles intentionally blinded in New Jersey and the salon that shampoos, cuts, and dyes your hair in California? The products your stylist uses were tested on animals in a laboratory. Know that everything on this planet is connected to everything else. Some things have big, bold connections and others have a tenuous whisper of a link. But you can’t do anything without affecting something else. Be conscious and conscientious about your choices. The grumpy shelter cat you adopt today not only saves her from the shelter’s kill list, it also opens up a spot for another needy animal tomorrow – one which might otherwise have faced a worse fate.